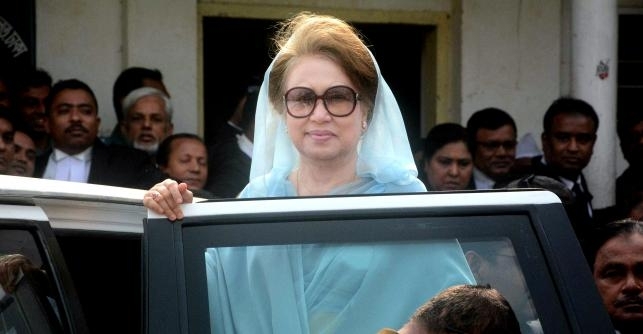 BNP Chairperson Khaleda Zia on Thursday filed an appeal with the Appellate Division of the Supreme Court challenging the High Court verdict in the Zia Orphanage Trust graft case, UNB reports. On behalf of Khaleda Zia, a former prime minister, lawyer Kaisar Kamal filed the petition in the morning. She also sought bail and a stay order on the effectiveness of her punishment in the petition. On January 28, the High Court released the full text of its verdict doubling the jail term of Khaleda Zia in the graft case to 10 years from five years. On October 30, 2018, the HC bench of Justice M Enayetur Rahim and Justice Md Mostafizur Rahman extended the BNP chief’s jail term. On February 8, 2018, a special court convicted Khaleda Zia and sentenced her to five years’ imprisonment in the much-talked-about Zia Orphanage Trust graft case. Later on March 12 last year, the BNP chief secured four months' bail from the High Court in the case and moved to the court challenging her conviction on February 19. The Anti-Corruption Commission (ACC) had sought extension of her jail term to life term imprisonment. The ACC filed the case against Khaleda and others with Ramna Police Station on July 3, 2008 accusing them of misappropriating Tk 2.1 crore in donations meant for a trust setup in her husband’s name. The ailing BNP chief has been in jail since February 8, 2018.